Users aged 65 and older are 43% slower at using websites than users aged 21–55, indicating that websites that target this audience need to make special accommodations, according to the latest research from Nielsen Norman Group. 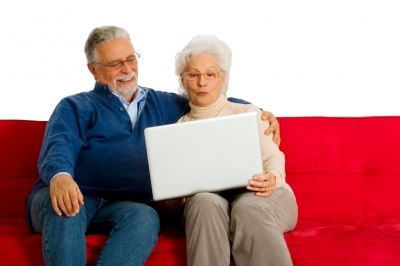 In 2002, the United States had an estimated 4.2 million Internet users over the age of 65. As of 2012, this number had grown to 19 million American seniors on the Internet. Reduced visual acuity is probably the best-known aging problem, so text size is important. Sites that target seniors should use at least 12-point fonts as the default. Hypertext links are essential design components; using large text for them is especially important for two reasons: 1) to ensure readability, and 2) to make them more prominent targets for clicking. Pull-down menus, hierarchically walking menus, and other moving interface elements are problematic for seniors who are not always steady with the mouse. In our studies, 45% of seniors showed behaviors that indicated they were uncomfortable trying new things or hesitant to explore. For example, when they failed in their first attempt at a task, some seniors were hesitant to try alternate paths. One senior, while looking for the average temperature for Dallas, Texas in January, went to his favorite weather website. When he couldn’t find the information, he didn’t want to go to a different website. Instead, he gave up. Seniors are much more likely to turn to search engines. Use different colors to clearly distinguish between visited and unvisited links. See the full research results.